The meter shows the fluctuations in the front line. The Alliance needs to buy Empress Gravelyn time. 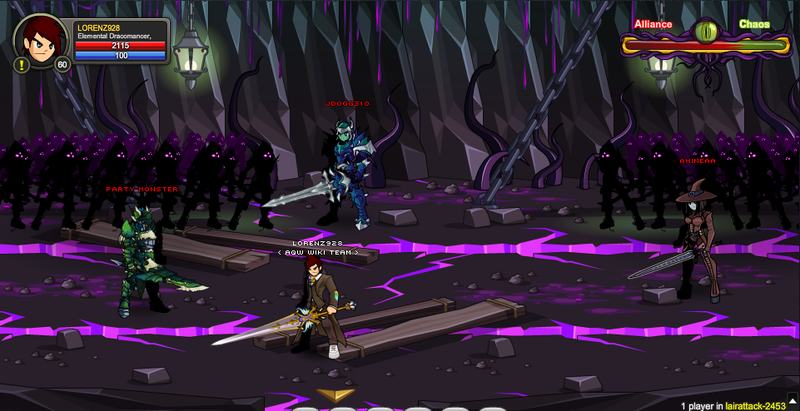 Chaos needs to conquer the Lair! The meter shows the fluctuations in the front line. The Alliance needs to buy Empress Gravelyn time while Chaos needs to conquer the Lair! Thanks to Amduscia, Rich Wind, Zero IX and __Reenz__.